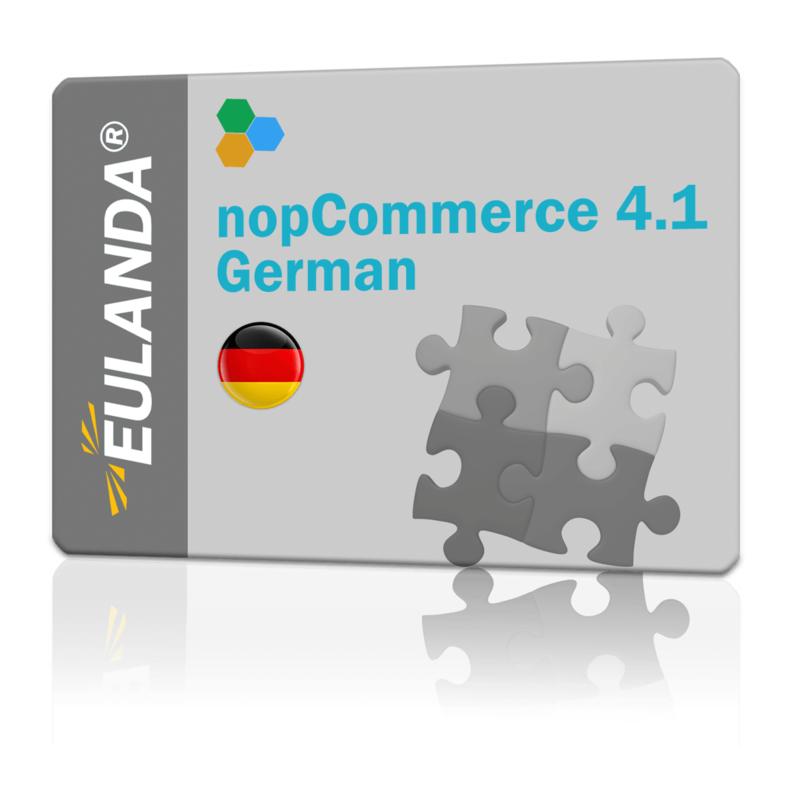 Language resources in German for the SHOP-system nopCommerce version 4.10. The purchase of the translation entitles you to permanently download corrections for this version 4.10. The download is always maintained and distributed under "My Account" in the shop at "www.eulanda.eu". The language plug-in contains the complete translation of the NopCommerce 4.10 system and the plug-ins included in the basic delivery. All resources that can also be exported under Configuration/Languages are translated.